The IMPACT Centre features a team of inspiring specialist teachers, professional network leaders and university and industry partners. We work with international schools and organisations to increase impact on performance and wellbeing. increase self-awareness, build resilience and create a common language and purpose around psychological wellbeing. Our programs are contracted through Education Queensland International on behalf of the Queensland Government’s Department of Education. They are delivered by key members of the IMPACT Centre team and our university/industry partners. Evidence has consistently suggested that participation in the IMPACT Centre’s reading, writing, numeracy and critical thinking programs is associated with increases in student achievement in NAPLAN (the annual, national assessment for all students in Years 3, 5, 7 and 9). Our programs and the IMPACT Learning Framework have received recognition from some of Queensland’s leading organisations. In 2017, the School of Education and Professional Studies at Griffith University published a report about the IMPACT Learning Framework. The report found that the framework utilises a more integrated approach to research and practice around teaching and learning. This has resulted in it having a focus beyond content and knowledge to include the metacognitive and individual needs and beliefs of students. In 2018, we were awarded the prestigious Peter Doherty STEM Education Partnership Award. The award recognises our success in increasing STEM participation, lifting STEM achievement and building the capability of STEM educators through professional learning experiences. We regularly host and conduct workshops with international educators during their professional visits to Queensland, Australia. 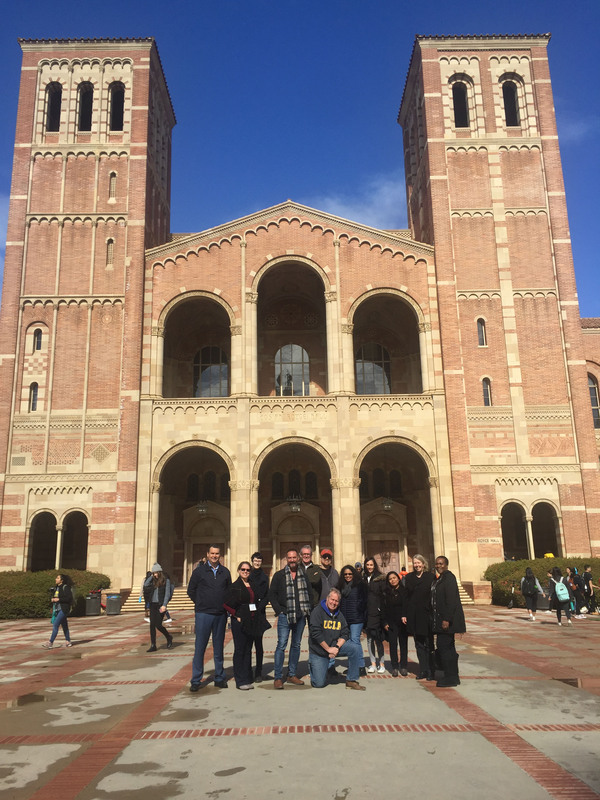 We also deliver overseas workshops, such as thinking workshops at the University of California, Los Angeles (UCLA) and at Simon Fraser University, Vancouver for school and university educators from Southern California, USA and British Columbia, Canada. We also present at international conferences, including the UNESCO MGIEP Transforming Education Conference for Humanity conference in Visakhapatnam, India, in 2017.
international student and educator tours and camps to Queensland, Australia. Contact us if you would like further information or would like to work with the IMPACT Centre.